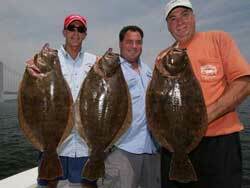 Captains Andy and Rich hook up with their good friend Steve Palmo to fish the 1st Annual Jones Inlet Marine Tournament. Along with Captains Skip Erickson and Brendan Murphy. The guys go west of the Hudson Canyon and get into and excellent yellowfin tuna bite with fish on the troll up to 70lbs. 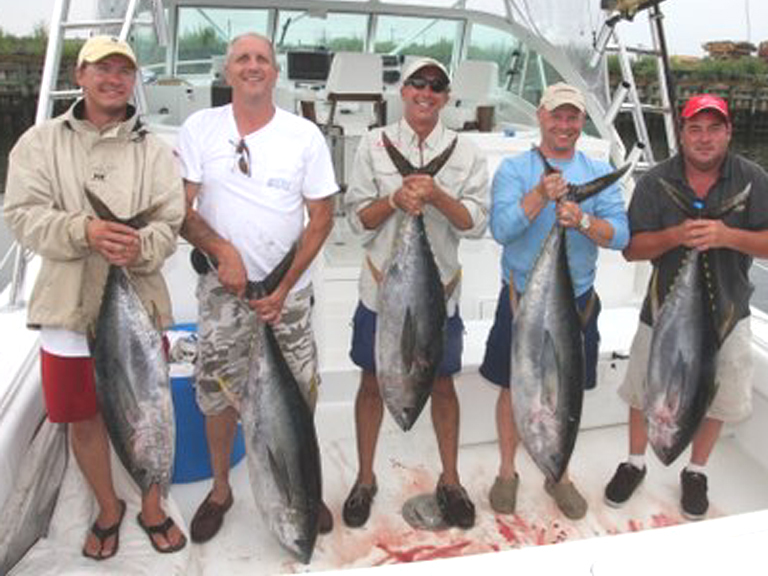 The tournament is won with a 206lb bigeye tuna. The techniques in this show can be used by anyone who wants to troll for big tuna in the region. If you have questions about any of the equipment used during the show, please contact us. Click here for our Tuna Trolling gear recommendations.